A unified health care system that operates over 100 medical sites and provides care across central and northern Wisconsin. 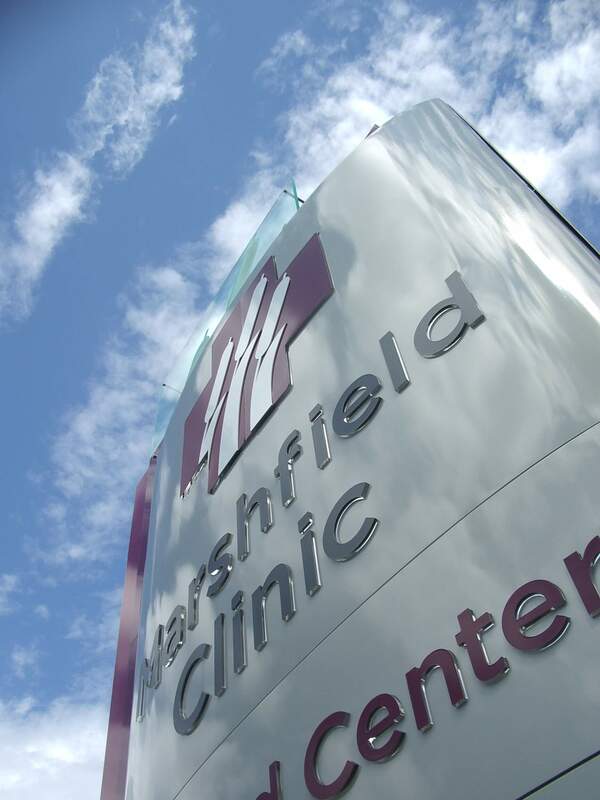 The signs in place across the Marshfield system were missing the mark: different styles, designs and no central unifying theme or standard meant that the brand wasn’t making an impact, and patients were confused. Across the board, signs were fading and discolored—despite having only been in place for 12 to 24 months. 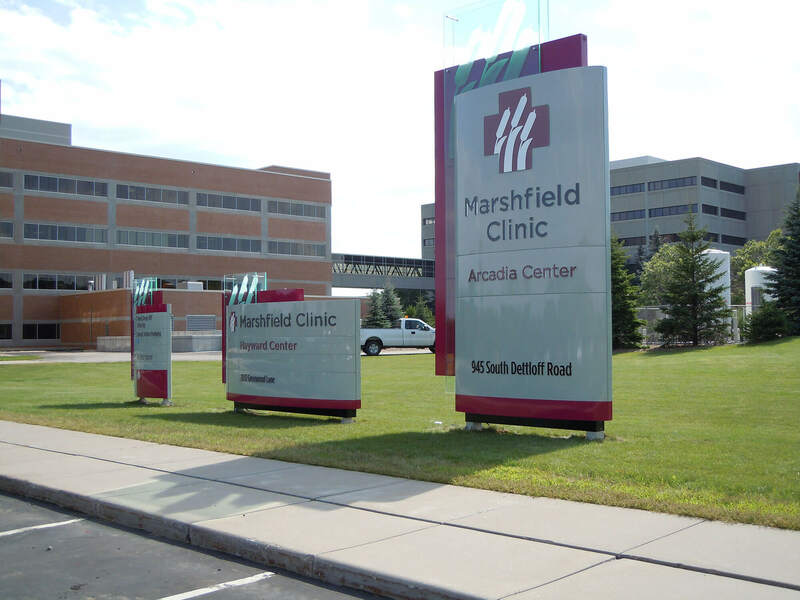 While Marshfield had purchased the signs with good intention, the lack of standard production requirements led to a steep erosion of their brand’s equity. 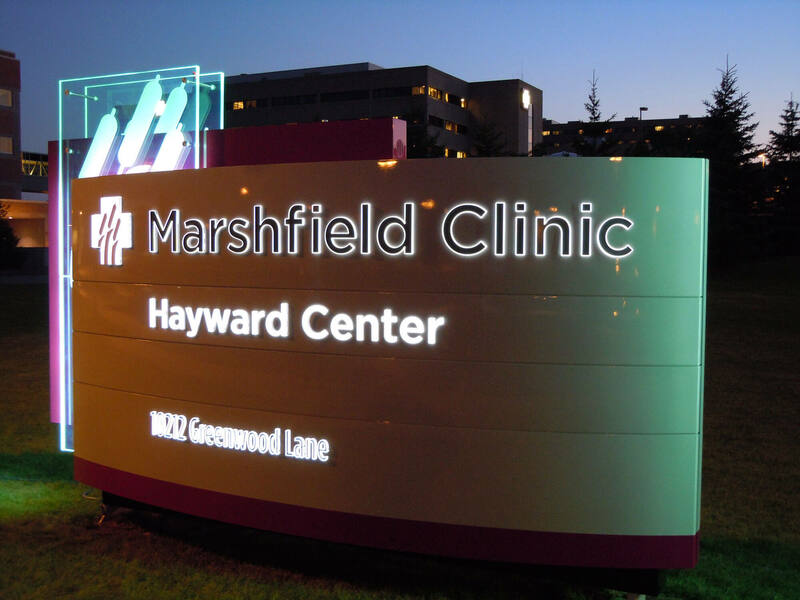 Marshfield’s signs were not up to par with their high level of care, and our team took on the challenge to change that. 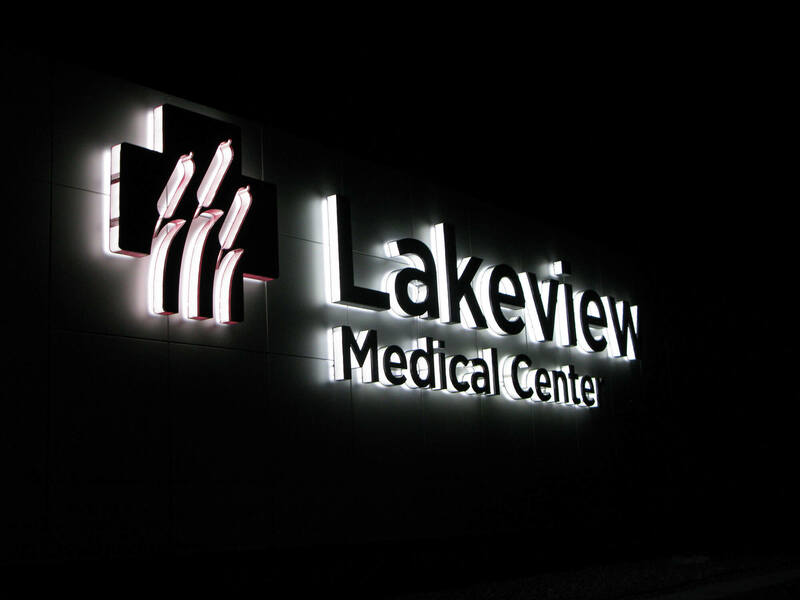 First, we developed a new sign family with consistent standards for application and more rigorous quality requirements for fabrication. Then, we got to work engineering, fabricating, and installing those signs across the Marshfield system. That brings us to our most significant design challenge: because of Marshfield’s unfortunate experience with paint longevity, we were looking for a warranty that exceeded that of any standard paint supplier’s. In addition, Marshfield was having a significant paint issue with longevity and durability. The lack of “standard” product requirements and poor paint standards led to a steep erosion of their brands equity. 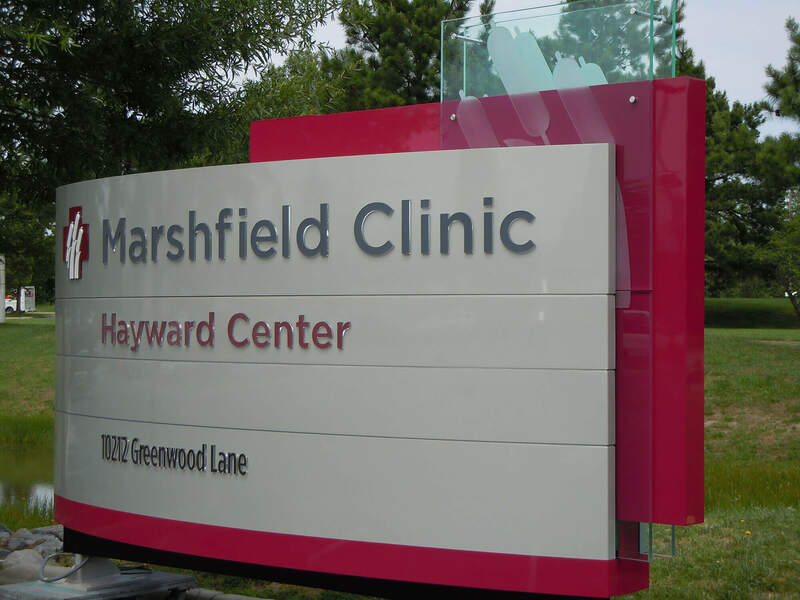 To ensure Marshfield’s new family of signs lasted for the long haul, and would be covered under warranty if they didn’t, we partnered with Mathews PPG. Together, we developed a unique paint system that was able to meet the demands that the Marshfield project required. 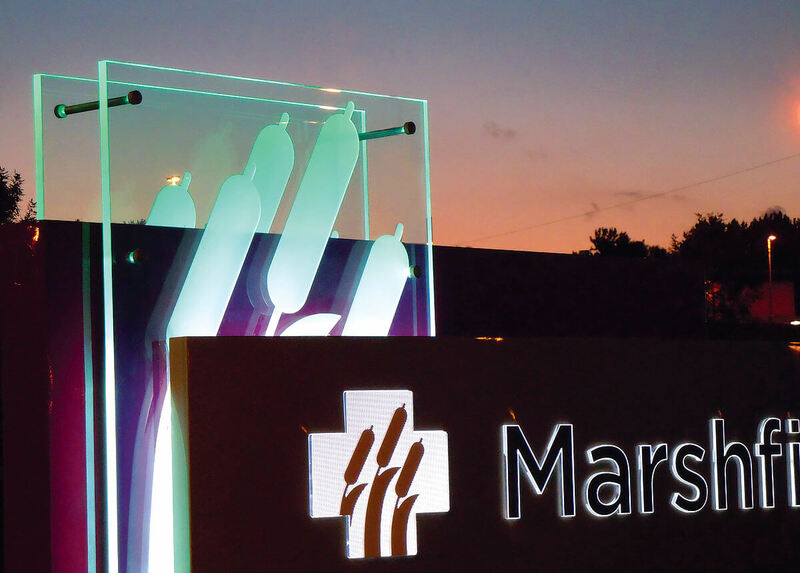 Everyone was excited to unveil Marshfield’s new, modern look, so our team got right to work engineering, fabricating and installing their new brand image at sites all across Wisconsin. Marshfield’s 100+ sites of care across the state of Wisconsin have a whole new image, as consistent and high-quality as the health care they provide. Every sign is modern, on-brand and built to last.